Used – the Use Case”. Buying process: What do customers go through in the process of selecting and buying your product/service? What information do they have to gather about their needs and how do they get it? What research do they do regarding the products and technologies and alternatives? What shortcuts do they take because of time or other constraints? What do they have to do to get approval to buy the product? What process do they need to go through to place the order or request for bids? What else do they have to buy to go along with your product/service? What do they have to do to get the product/service installed or implemented before it can be used? What do people do before they use your product/service? What do they specifically do as they use your product/service? What other things are they doing at the same time or in coordination? What interrupts their process of using your product/service? What do they do after using your product/service? Once you are satisfied that you have been ridiculously detailed in identifying the “Whats” and who does them, assign times to each of them. You will end up with first-pass models of the end-to-end buying process and use case and the time involved from start to finish. Don’t worry if you do not have all the information. Leave place-holders for all the things you do not know — you will fill them in over time. Similarly, it you don’t know the time involved just put in broad estimates or guesses. The important thing is that you now have a model that you can show real customers. Let them help you improve it. The result? Instead of a bunch of random anecdotes or hunches, you will have a full, validated model to use in many ways in the future. Where are your target customers having to spend the biggest chunks of time? 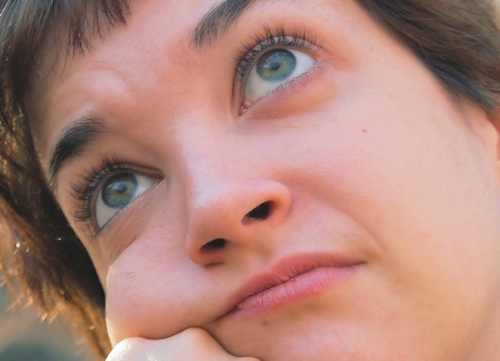 Which time-consuming tasks are most annoying or unpleasant or boring? Which tasks take the time of high-pay employees? Lay out the candidate reduction opportunities on a 2 x2 Customer View matrix like the one below. The vertical axis captures Impact on the customer’s time (High or Low). 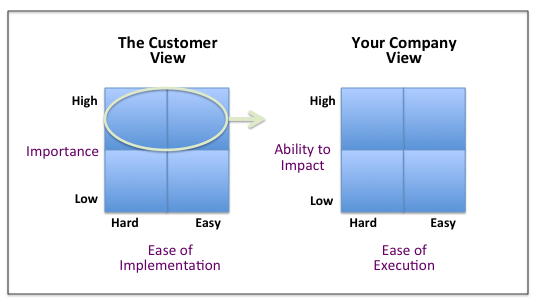 The horizontal axis captures Ease of Implementation for the customer (Easy/Cheap or Difficult/Costly). Then lay out all the items that were High Impact to the customer and put those on the 2x 2 “Company View” matrix—this time with your company’s ability to make an impact ( High or Low) and ease of execution for your company (Easy/Cheap or Difficult/Costly) as the axes. That should reveal the opportunities that are most accessible to you and which can make an impression on customers. You are ready to select and go! Select the opportunities that customers will value and that you can execute! A future post will cover the examples of time savings that others have created with success. Have you increased sales, loyalty or profits by saving customers time?